72 percent of supplier diversity programs cited corporate social responsibility as the top driver of their efforts. Certification agencies are the primary way companies find diverse suppliers, with 72 percent of respondents saying this is one of the methods they employ. Tier 2 spend is tracked by 68 percent of surveyed supplier diversity programs. 62 percent of diverse suppliers surveyed have been in business for at least 11 years. 92 percent of responding minority-owned businesses are certified as such by an appropriate reporting agency, as are 87 percent of woman-owned businesses. "Diverse suppliers have tremendous opportunities in 2018, as well as valid concerns, including the struggle to connect with new partners," says John Suarez, Marketing Manager for CVM Solutions. "Also, our survey found that although supplier diversity programs are expanding and finding success, many still face challenges in achieving and surpassing their goals. 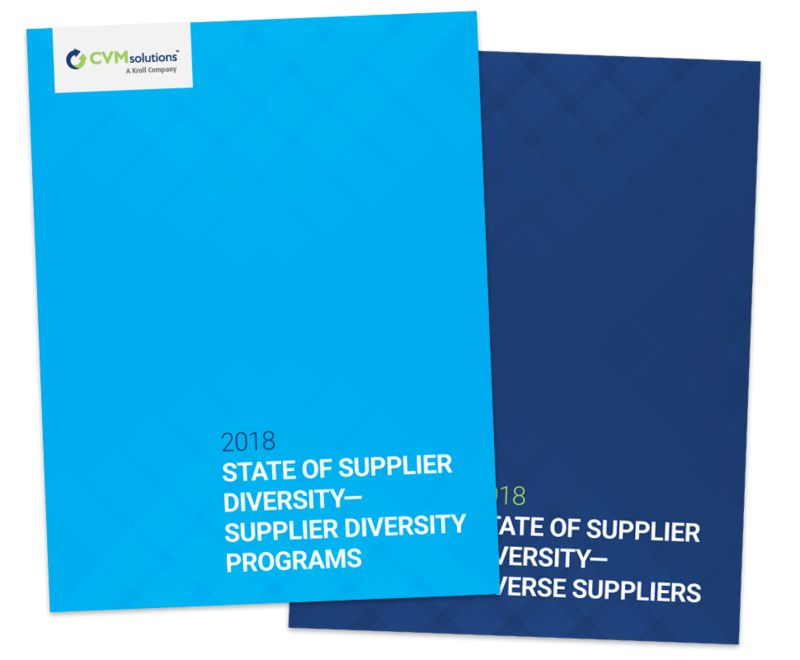 Once again, our reports explore the current supplier diversity landscape and offer an enlightening look at the future of the industry." For additional information about these reports or CVM's services, visit the company's website at www.cvmsolutions.com.